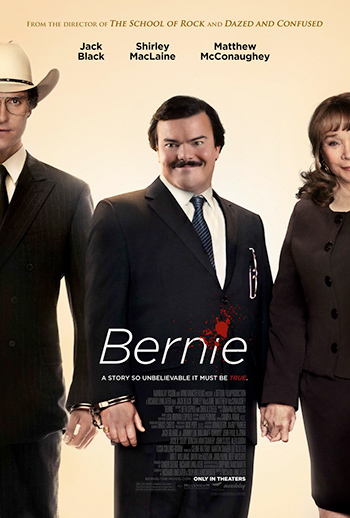 Bernie came and went quietly in theaters but more and more people are discovering it on netflix as a hidden gem. Fans of City Confidential (one of televisions unsung greats) will rejoice in this based on a true story crime flick. Linklater wisely uses colorful real people from the town of Carthage, TX as the talking heads and pulls excellent performances from them as well as his veteran actors. Shirley McClaine is perfect as a cranky old woman, delivering lines that sound like overhead real conversations while Jack Black is remarkably subtle. Usually over the top and obnoxious, here he makes the character Bernie likable and dimensional while having fun with the role. In a quieter year, or had the film gained more attention, it could have even garnered him his first Oscar nomination. It’s not big, loud oscar bait though (but Black did receive a Golden Globe nomination). It fits nicely along side other infinitely watchable true crime films like To Die For, Fargo, and The Positively True Adventures of the Alleged Texas Cheerleader-Murdering Mom (do I see a potential marathon line up).